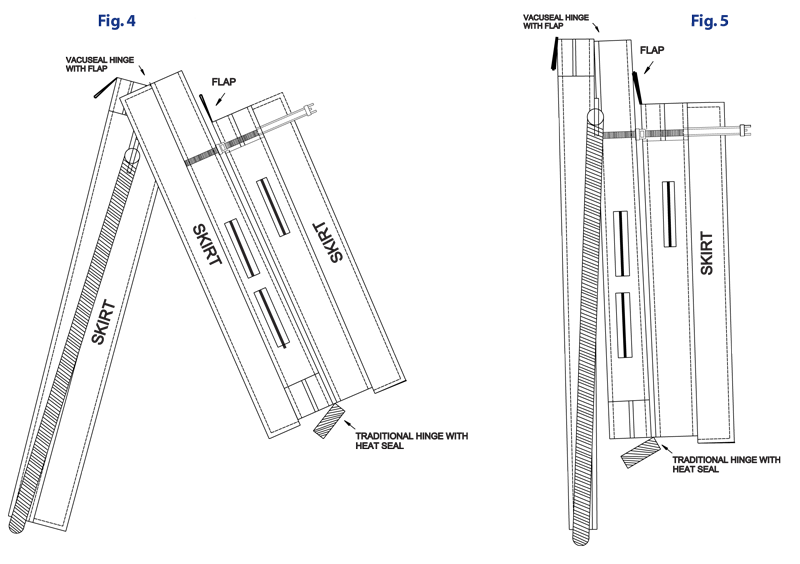 Our patented VacuSeal Lifter allows you to easily open or close your VacuSeal Cover in one simple, easy motion. 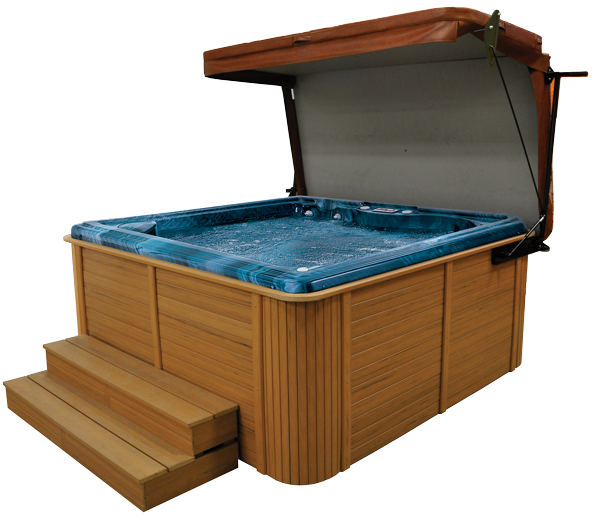 It is built to last the life of your hot tub and its energy saving design saves you money each and every year! Two Choices: 1. 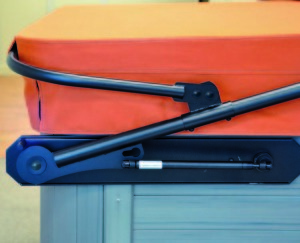 Grab both cover handles (from either side) and lift the cover (without using the lifter handle bar) and allow our pneumatic shocks to do their job. 2. With one hand lift the cover just enough to break the vacuum seal and then raise the lifter handle bar with the other hand. Raise the cover by the front center handle and when cover is elevated lightly touch the underside of the cover and push forward then let go allowing the pneumatic arms to do their job. Two Choices; the simplest for most is simply grabbing both handles of the cover and walking the cover closed using your body weight. The second method is with one hand gently swing the interior side of the cover up and pull down on the lifter handle bar. When you are ready to exit your hot tub simply grab the center handle of the cover and pull it closed as you climb out of the front of the spa. SIMPLE & QUICK! 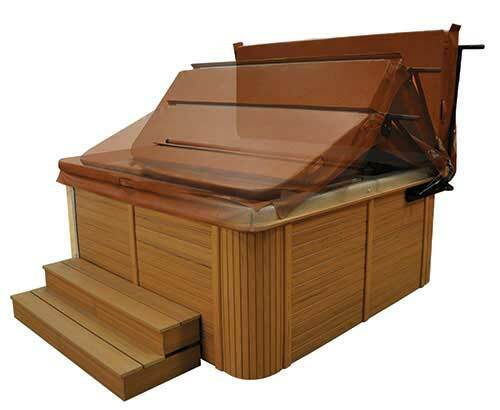 The combination of our VacuSeal Cover and our Reverse Pneumatic Lift technology vacuum seal the cover to your spa helping to prohibit heat loss and water evaporation, along with changes in your water’s chemistry. A rear arm snugly fits into a custom sleeve in our cover assuring that your cover always returns to its original position. This guarantees you a perfect seal on every closure along with eliminating the need to reposition your cover, common on most traditional covers. 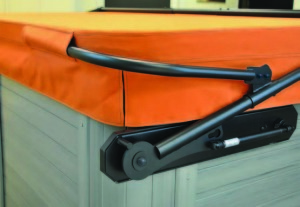 Our patented clamping system located on both sides of the cover safely lifts, protects, and extends the life of your cover. Our clamping system eliminates the traditional lifting at the hinge which is often the primary cause of cover replacement. Constructed of galvanized steel with a baked on anodized coating, weighing three times the weight of most competitor products assures us a product with long life. 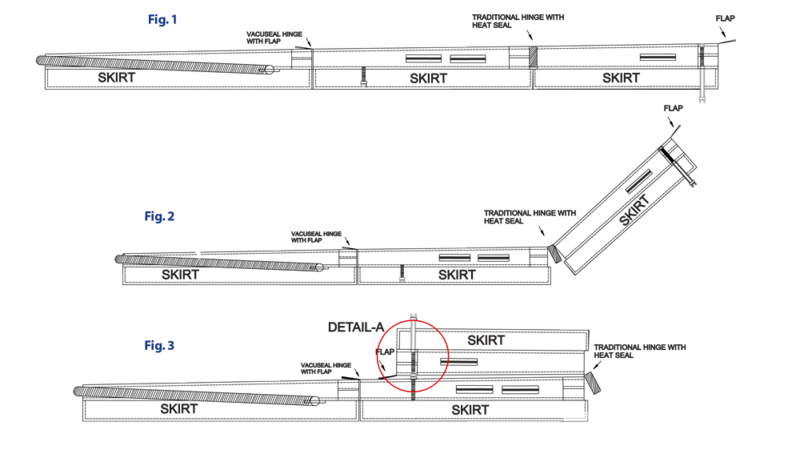 Couple this with improved energy efficiency assures you the best value in the industry. The combination of the positioning of our gas shocks and the design of our cover that requires raising the interior portion prior to closure eliminates the need for any burdensome locking device. Though we never recommend using your cover in excessive wind storms the VacuSeal lifter is designed to resist unexpected closure better then competitor models that include locking devices that require you to remember to disengage each time you exit your spa. Our side lifting handle provides the perfect place to hang your towel or robe. Ideal when entering or existing your hot tub. 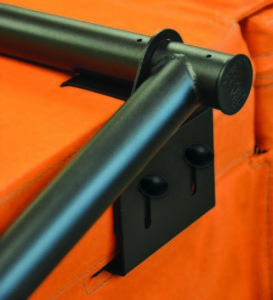 We also provide additional handles to make handling your cover easier. For those who have a need or a desire to use their spa in the rain or snow, or for those seeking protection from the harmful rays of the sun, the VacuSeal provides the only simple solution. 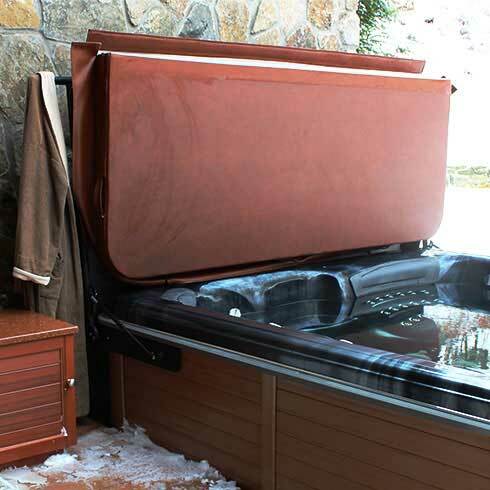 Simply lift one side of the cover, attach our optional steel support system, and within seconds, nearly 50% of your spa is protected. Also provides additional privacy.